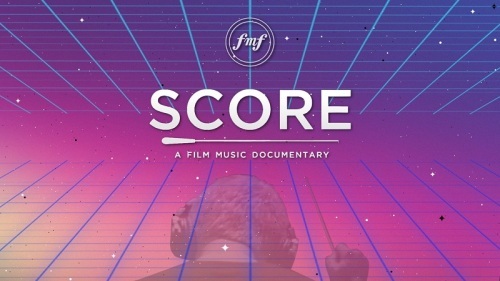 The Polish premiere of Score – the documentary about the work of Hollywood composers, a free recital for composers’ guests during the debate with Varèse Sarabande, outdoor cinema, film and music workshops for the youngest audience and a dancing party on the barge! We present the accompanying events of the 10th Krakow Film Music Festival! 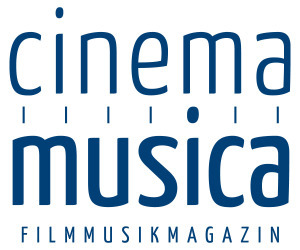 Inspirations, challenges and triumphs involved in the creation of modern soundtracks – a cinema documentary revealing the work of outstanding film music composers behind the scenes will have its Polish premiere on 21 May 2017 during the jubilee edition of the Film Music Festival in Krakow. Matt Schrader’s Score: A Film Music Documentary will acquaint us with musical icons of the world cinema, who are hosted at this year’s FMF edition or were our guests at previous editions, including Hans Zimmer, Howard Shore, Alexandre Desplat, Elliot Goldenthal, Joseph Trapanese, Dario Marianelli, Brian Tyler, Harry Gregson-Williams and Heitor Pereira. The documentary revealing the details of creation of the most recognisable Hollywood soundtracks had its world premiere in autumn 2016. The California-based director Matt Schrader worked on the production for two years, carefully recording successive steps of the work on the film scores authored by prominent figures of world film music, running interviews and collecting scripts and materials kept in the archives and the composers’ private collections. The idea to create the documentary devoted to film music and its influence on the contemporary audience came to his mind when he was in the cinema. ”I remember the stirring rhythms of The Good The Bad and The Ugly, the spine-tingling orchestral finale of E.T. The Extra-Terrestrial, and the pounding, adrenaline-pumping awe of The Dark Knight’s final ride. These are moments where, almost inexplicably, we as viewers transcend the story we’re being told. The music speaks to us in ways we can’t intellectually grasp — but in ways our heart still can. These moments prove that the right picture paired with the right sound can create a physical change in our heartbeats, our tear ducts, even our arms and legs. They create chills. Goosebumps. Film music speaks to us in a language we can understand, but few of us can speak.”– explained the director to journalists a few days before the premiere. For two years Schrader’s crew devoted themselves completely to the work on the project, abandoning their previous occupations. The footage was created in Los Angeles, Malibu, New York, Michigan and London and other places. The film shows all stages of the creation of the film scores, from the original idea, writing the scores, orchestration and recording sessions, up to the montage. Schrader looked into almost all types of music that can be heard in the cinema — great symphonic works, swing, jazz scores and drone music. He invited participation of the most outstanding figures in world film music, including Hans Zimmer, Howard Shore, Alexandre Desplat, Elliot Goldenthal, Danny Elfmann, John Powell, Harry Gregson-Williams, John Debney, Randy Newman, Patrick Doyle Brian Tyler, Rachel Portman, Joseph Trapanese, Dario Marianelli, Marc Beltrami, David Arnold, Christopher Young, David Newman and Heitor Pereira. The composers who are present at this year’s festival will answer the audience’s questions during a panel discussion right after the screening. We have planned the Polish premiere of Score: A Film Music Documentary for 21 May 2017 at ICE Kraków. Free tickets can be found here. After the film we invite you to the third discussion panel of Varèse Sarabande, including a mini-recital by guest composers. Robert Townson, the head of the label, devoted most of his life to giving soundtracks a life after life outside the film and TV screens. Currently film music concerts and simultaneous film shows with live music are increasingly often seen on the repertoire of world music and film festivals. Film music themes can also be heard in concert halls, where they earned their presence in parallel with classical symphonic, oratorio and chamber music pieces. Robert Townson will talk with Howard Shore, Jan A.P. Kaczmarek, Brian Tyler, Sean Callery, Jean-Michel Bernard and Sara Andon about the blurring of borders between music genres and the creation of a new category of orchestral repertoire. The composers will be invited to present their favourite themes. Sara Andon (flute) and Jean-Michel Bernard (piano) will play James Horner’s themes from Edward Zwick’s Legends of the Fall. Robert Piaskowski, FMF artistic director assures that ”both the discussion and the preceding film about what happens behind the scenes of film music creation will by a symbolic wrap-up of what we have managed to collect and show throughout the ten years of the Film Music Festival. For many years we have had a fruitful cooperation with Varèse Sarabande, and the heroes of Matt Schrader’s film have been in many cases the festival’s special guests. So it will be an extremely important and emotional experience for us all”. 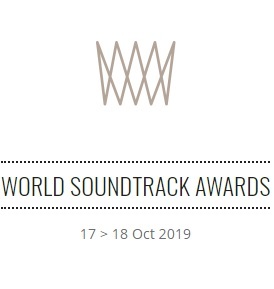 The programme of accompanying events and the Audiovisual Forum of the 10th Film Music Festival will be supplemented by an outdoor show of Tony Scott’s film Top Gunwith the Oscar-winning song composed by legendary Giorgio Moroder, this year’s FMF guest. The screening is planned for Monday evening on the square at the foot of Wawel (ul. Powiśle 11). The show begins at 9.30 pm. Admission is free. This year we also have something for the youngest audience: ”Watch That Sound” music workshop for schoolchildren (aged 6 to 12 ) offers a perfect opportunity to explore a mysterious world of fantasy and to compose one’s own music for a movie. The workshop will take place in the Festival Centre at Krzysztofory Palace on 18 May 2017, at 9.00 am, and in the M. Karłowicz General 1st- and 2nd -level School of Music (os. Centrum E 2). Practical activities in composing one’s own film music using various objects and nonstandard instruments will be run by the Dutch composer and teacher, Jacques van de Veerdonk. Remember that you need to register to take part in the ”Watch That Sound”. 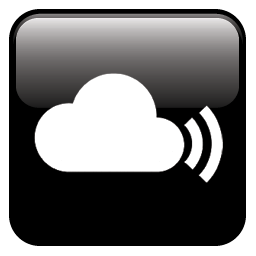 Please register at : warsztaty@fmf.fm. The Ethnographic Museum In Krakow prepared a series of workshops inspired by Star Wars and The Neverending Story, both on the FMF programme. The activities will include a humorous mini-lecture for children and parents on the prose of the German writer Michael Ende (author of iconic children’s books, including The Neverending Story, Jim Button and Momo), workshops on intergalactic ethnography (designing your own spaceship, intergalactic race), and a meeting devoted to fantasy stories and creatures (try to create your own Neverending Story). For the workshops at the Ethnographic Museum please register at: szelingowska@etnomuzeum.eu. But this is not all! On 12 May we invite you to a musical pre-party! A warm-up of this year’s Film Music Festival will take place at 8.00 pm sharp, on Aquarius Barge, just nearby Dębnicki Bridge. Romance by night – dancing to film music, film music liveplayed by the Krakow group Boba Jazz Band will introduce us to the atmosphere of the festival. Dancing and partying guaranteed! All those who can’t wait to participate in the 10th Film Music Festival are welcome. Free of charge passes are available via Evenea portal (link). The number of passes is limited. Don’t wait too long! Official CD of the festival. Varèse Sarabande has produced a special CD that includes music from the festival guests and music that will be played in the concerts, and that as in previous editions, will be available at the festival’s official record stores. © 2010 Kinetophone. All Rights Reserved.